By default, the iPhone records video at 30 FPS, but newer model iPhones support video recording at a silky smooth 60 FPS (frames per second) at a full 1080p resolution. 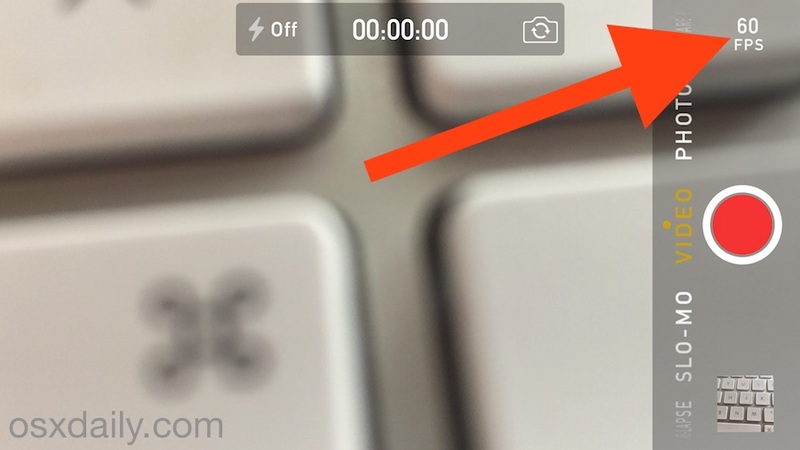 This optional high frame rate video capture mode must be enabled in the iPhone Camera settings before you’ll find it available when recording video with the Camera app however. Enabling 60 FPS video recording on the iPhone requires an iPhone 6 or better with a modern version of iOS. 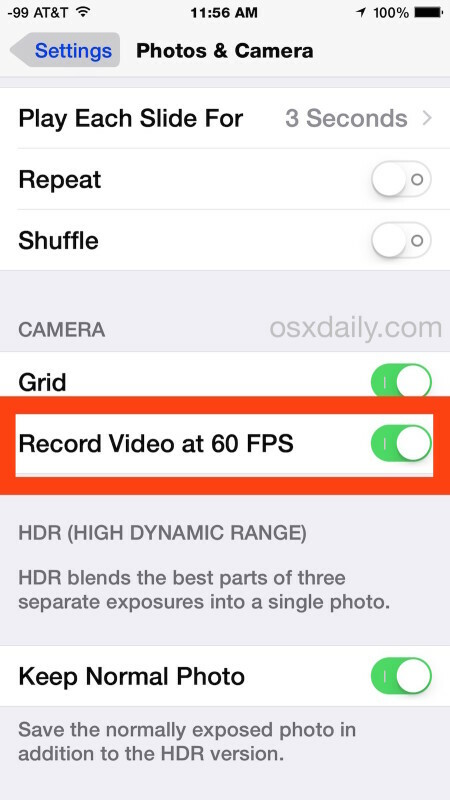 Earlier iPhones and earlier iOS versions do not support 60 FPS video capture. Record your videos on the iPhone as usual from the iPhone Camera app, at 60 FPS you’re getting very smooth high frame rate video which is great for both amateur and professional uses. Do keep in mind that capturing video at 60 FPS results in notably larger file sizes for movies and video, so this is really most appropriate for more advanced camera users who are looking to capture some really high quality video. Also, keep in mind that to get the highest quality video off the iPhone and onto a computer, you’ll want to transfer the HD video with a USB cable to a Mac or PC rather than through iCloud, Mail, or Messages. You can toggle this off again at any time in Settings if you determine it to be unnecessary or the resulting file sizes to be intrusive. The average user probably won’t need to record movies at 60 FPS, so leaving this off is fine for most. Note this only impacts the FPS of recording in standard “Video” mode, it doesn’t change slow-motion or time-lapse. There are other frame rate options available for those however, particularly for recording in slow-motion, where you can toggle that record speed from 120 FPS to 240 FPS to achieve various levels of slow motion and video smoothing. The iPhone Camera is really quite impressive these days, be sure to check out our camera tips to learn much more. Awesome tip Paul. Keep em coming. Not available on iPhone 5. Woww! Thank you Paul Horowitz! I never knew that I can record videos on 60FPS with iPhone! Until today I thought only DSLR camera’s can record 60FPS videos. It’s pretty bad knowing that Iphone 5/5s doesn’t support 60fps video recording but they using whether 60 or 120fps (i’m not sure) in slow motion mode, by that it means that the hardware support 60fps mode.